Being a wheelchair user I am used to obstacles that stop me gaining access to shop, property or venues but at the moment everything is off limits. Our whole Road is having the pavement (sidewalk) torn up and replaced with new paving slabs, yesterday they reached our house and knocked on our door to say that if we didn’t want our car stuck on the drive, then it should be parked in the street. 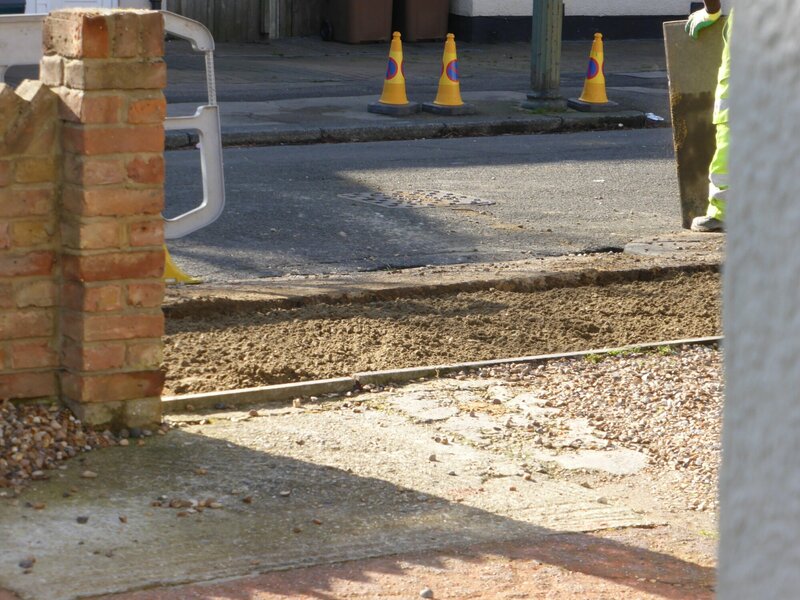 They have now torn up the pavement on this part and have said that our drive will be out of use for a couple of days. I guess that most people will be inconvenienced by not being able to park off street but this confines me to home, my wife is going to the chemist to pick up my meds today because I need them but apart from that I actually don’t need to go out, however when the option of going out is removed, you start to feel confined. I’m not the sort of person that will go out and complain or request that they hurry up, the work needs doing and they are actually doing the best they can in between rain and once it’s done, the path will be so smooth to push on. Also there is always the luxury of it deterring door knockers trying to push their religion or double glazed windows!